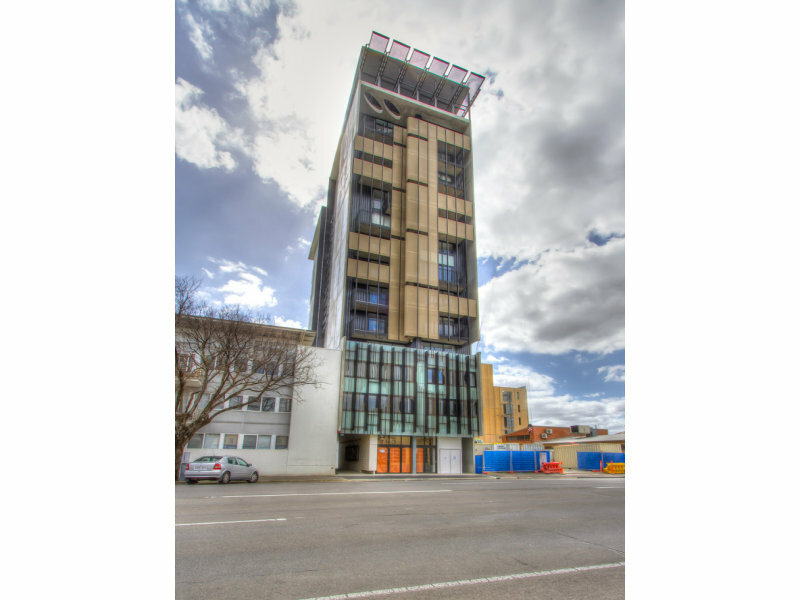 crawf wrote: If that is infact gold styled glass similar to Prima Apartments in Melbourne, then this building could end up looking amazing! That would be good. 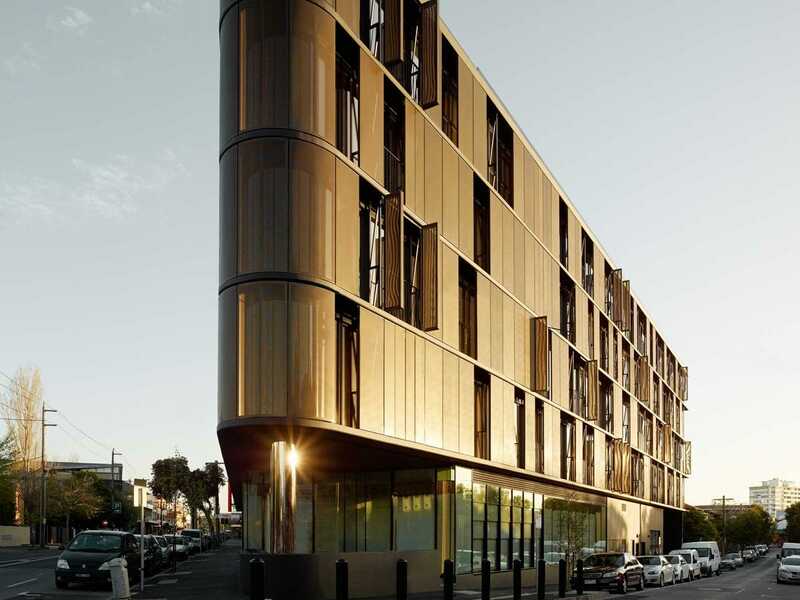 Or a gold steel mesh like the Luna Apartments also in Melbourne (which is similar to what they plan for the tower part of the Le Cornu site development). So hard to tell from that tiny render in the article. Art Apartments has a similar treatment to it's facade. Loucas Zahos architects have been kind enough to supply a high quality render. Hard to tell what the façade is but I don't think its glass. I actually like it. It's a completely different style to what we are used to. Though it doesn't look it has much natural light?, if at all. The quality of material on the exterior will either make or break it. Could end up being one of the best mid rise buildings in Australia, or the ugliest. I'm thinking the gold is a see through type mesh. Similar design to their proposal for the U2 on Waymouth site. Ben wrote: Loucas Zahos architects have been kind enough to supply a high quality render. Hard to tell what the façade is but I don't think its glass. The car park next door has as much appeal as that facade. Dear lord! I'm sorry, but there is no way that its a concrete facade. It's just a poor render of what looks to be golden glazing, similar to much of what Elenberg Fraser use. It's rare for me to question a development, but yeah... let's hope that's a bad render. The last thing we need is a 27 level concrete monolith in a prominent position... nothing would be more likely to make the average person/voter switch to the Sandy Wilkinson view on the world. It won't be. Just understand that! Not one of Loucas Zahos' facades have ever been concrete, and what sort of selling pitch is a concrete facade with little holes in it. If the façade is like the semi-transparent gold mesh that it appears to be then I'm all for it. The design is far more creative/appealing to me than that of the large Pirie Street proposal. I'm interested in the trend of a gold/copper aesthetic that this and other recent proposals have had (eg, Oval, Le Cornu, Eclipse, Vue etc), and whether we might see it become part of a particularly (iconicly?) Adelaidean visual vocabulary. Sort of like Sydney and sandstone. What does the transparent gold mesh look like from the inside? Splashmo wrote: What does the transparent gold mesh look like from the inside? Here's what it looks like from the inside of the Luna Apartments. I guess it's a bit like having a shear curtain. Render from the City magazine. The DAC are expected to APPROVE this development at Thursday meeting. The building is 27 levels and 84 metres high. There will be 126 apartments. So many proposals but once again I'm not sold on this design. There are a lot of semi blank walls. Why are we not getting the calibre of Melbourne proposals. Given they are not boring boxes but they could be more appealing. It's kind of interesting but I am struggling to get a feel for its real world appearance. Sure, renders are rarely lifelike but this thing looks somehow like a sketchup. That said, it's next to a carpark that even by carpark standards is pretty ugly so pretty much all is forgiven. Ideally, they'd continue the gold screening or find a similarly interesting façade treatment for the bare concrete. Though I'm not opposed to bare concrete if done right.